Yi Huiman, the newly appointed chairman of China's securities watchdog, may introduce innovative strategies to boost the country's capital markets, experts said. Yi, 54, former chairman of the Industrial and Commercial Bank of China, was named head of the China Securities Regulatory Commission, taking over duties from Liu Shiyu, Xinhua reported over the weekend. "Being a veteran business leader can be a distinctive advantage for Yi. As an entrepreneur, he probably understands the capital markets more from the market perspective," said Hong Rong, founder of Hongda Education. "Yi may take measures to motivate securities firms to play a more significant role as a market-based and efficient way to revitalize the market," Hong said. Functioning as investment banks, brokerages and asset managers, Chinese securities firms are critical entities in the capital markets, yet they face a much less favorable regulatory environment than their global counterparts, Hong said. Starting as a junior loan officer at ICBC in Zhejiang province in 1985, Yi spent 34 years at the world's largest lender by assets, and was made chairman in 2016. Having rich experience in the financial sector making real-time market-based decisions, Yi was seldom exposed to regulatory work, which sets him apart from his predecessors. 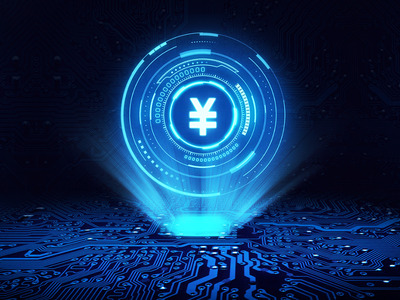 Dong Dengxin, director of the Finance and Securities Institute at Wuhan University of Science and Technology, agreed that Yi might adhere to more market-based measures to develop the capital markets. For instance, Yi may streamline bond issuance procedures and avoid excessive administrative controls to help address financing difficulties in the private sector, Dong said. In October, Yi said liquidity predicaments confronting private businesses were partly due to clogged direct financing channels, including difficulty in issuing bonds. Stepping up efforts to launch a science and technology innovation board in Shanghai and experimenting with the registration system will be atop Yi's work agenda, said Tang Yao, an associate professor at Peking University's Guanghua School of Management.